Tipping points science is helping managers on the ground in diverse regions improve their ability to monitor, manage, and protect coastal and ocean ecosystems. Follow the links below to learn more about our two in-depth project case studies, where we describe how the Ocean Tipping Points team of scientists and managers are working together to integrate new tools and approaches into their management frameworks. 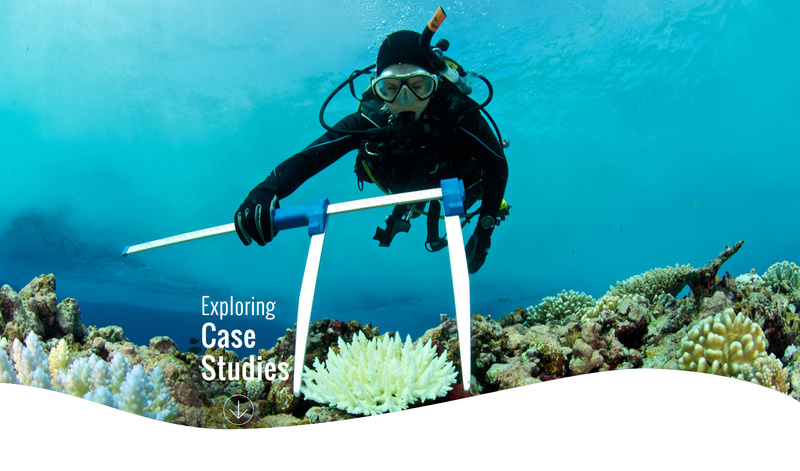 The case studies take a deep dive into how tipping point science is working to enhance coral reef management in Hawai‘i, and to maintain resilient social-ecological systems in Haida Gwaii, British Columbia, Canada. You can also explore our global case-study map to learn about other examples of tipping points management across terrestrial, saltwater and freshwater contexts.